The San Jose Blog: Triple tower and new theater proposed in SoFA! Triple tower and new theater proposed in SoFA! 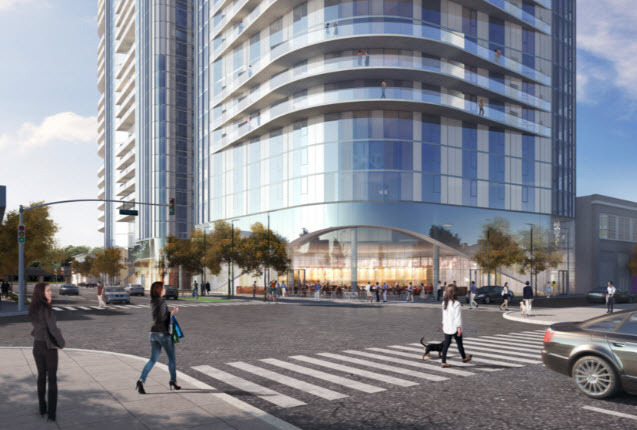 The latest high-rise proposal in Downtown San Jose is easily one of the most ambitious. Invicta Towers would consist of three (!) high-rise buildings between South Second and First Street Downtown. This is the heart of the SoFA district with several museums and theaters within a one block radius. 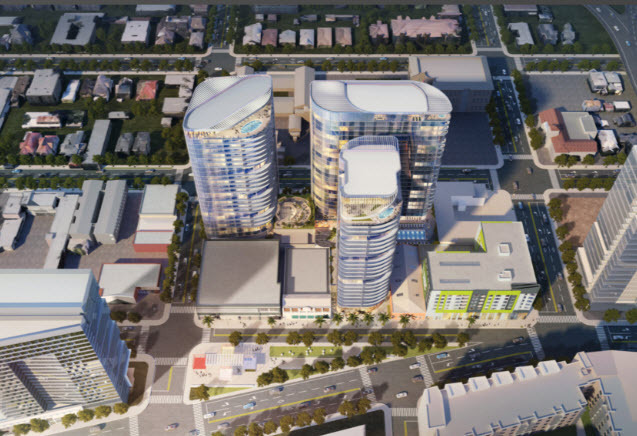 The San Jose Institute of Contemporary Art, San Jose Museum of Quilts & Textiles, and MACLA would all practically be inside of the project (they are buildings between the towers in the first image). 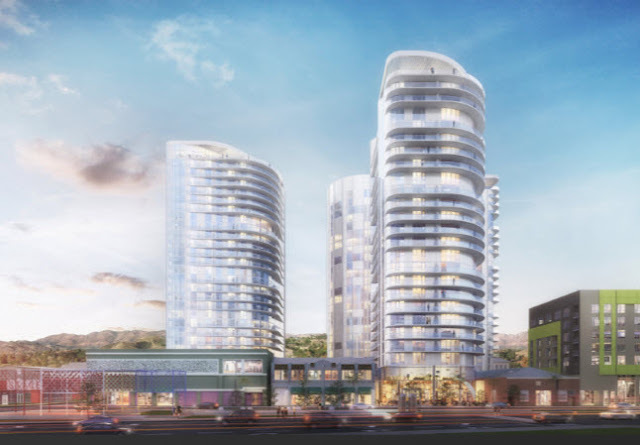 Invicta would include 667 residential units and 41,500 SQFT of tail and public arts exhibition space. Part of that space would be a 12,000 SQFT theater for live performances. Tower A would be 295 feet tall and 27 stories, making it the 2nd-tallest tower Downtown. Each tower would have at least one restaurant on the ground floor, but the project will support a total of 4-10 dining options. Parking would be in a 4-story below-grade parking structure. While not mentioned in the article, the renders have a swimming pool on top of each of the towers, one covered and two uncovered. It looks like the amenity space will be on the penthouse floors, which is a great idea given the views from this location and our weather. 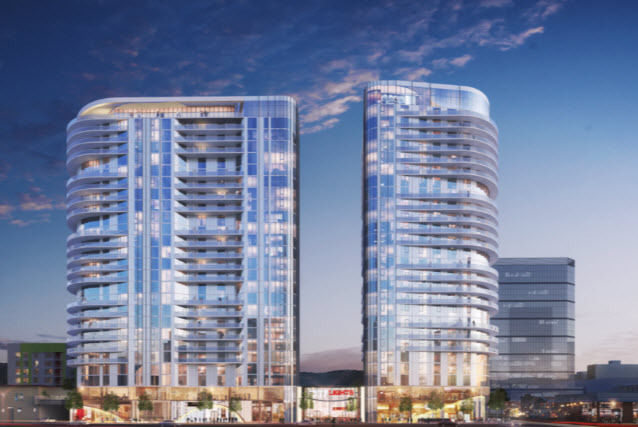 Hats off to developers, which are stepping up and continuing to raise the bar on Downtown proposals. I'm keeping my fingers crossed that we'll get so see some more projects break ground before the end of the year. But there is a 1,000% chance that they will mysteriously become boring rectangular buildings once they're constructed.